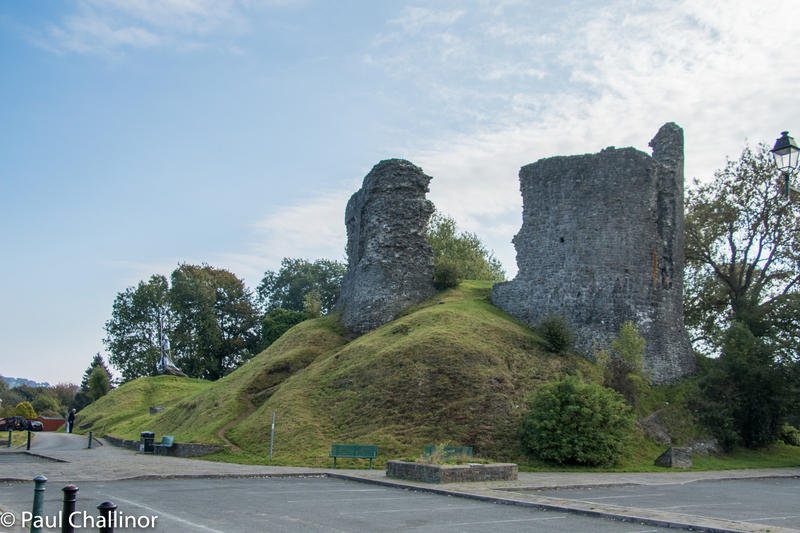 For a recent series of adventures that saw us tie off another two items on the Welsh 100 list we stayed just outside Llandovery, or Llanymddyfri, in the old county of Carmarthenshire. It is an area we not explored much, having bypassed it by going further west to the coast. But that changed this weekend as we drove along the old drovers road and the Abergwesyn Pass to Tregaron and scrambled up to Ogof Twm Sion Cati. Llandovery isa corruption of ‘ Llanymddyfri’, meaning ‘Llan ymlith y dyfroedd’ or in English ‘Church enclosure amidst the waters’. Two rivers, the Afon Tywi and Afon Bran, meet just outside town. It is a small town with a population less than 300. But it must once have had the highest ratio of pubs to population of anywhere in Wales. We counted at least 10 pubs, not all still open as pubs having been converted in cafes or restaurants. After saying here a couple of days, it is now one of our favourite little towns. 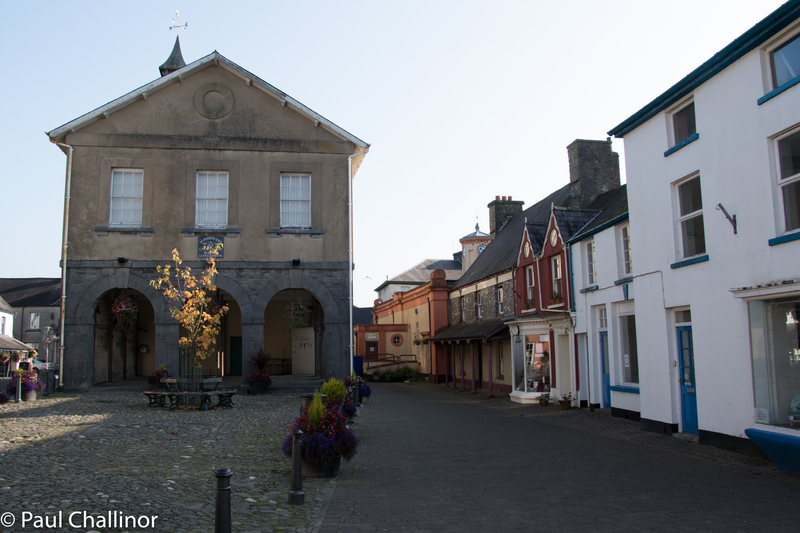 The town is centred on the town square that housed a small market place, town hall and at one time the town goal. The Town Hall (1857-8) was designed by the architect Richard Kyke Penson. It fairly unusual for Wales, which tend to have very functional artitectrure. It has a courtroom over an open market, in an Italianate style. 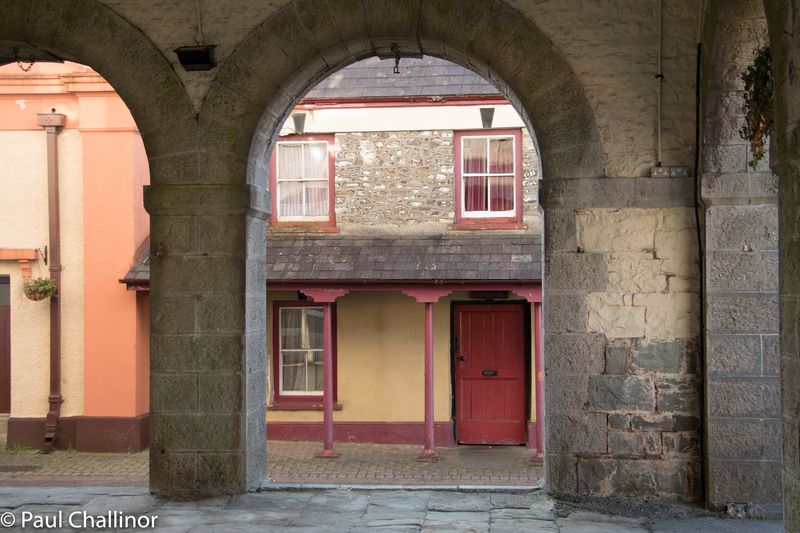 The building has two storeys with open arcades. At the rear are police cells with iron grilles and entry to the courtroom (now used as a library) under a clock tower. 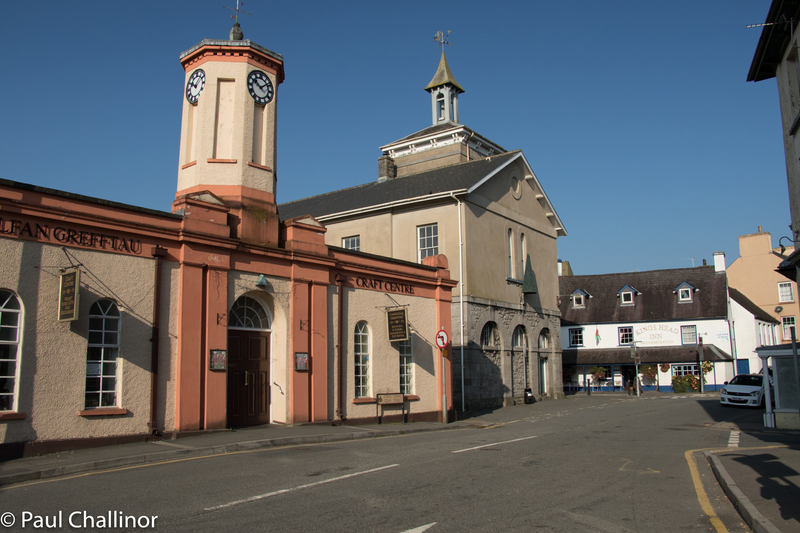 The town has a long history stretching back to when the Romans built a fort here between AD50 and 60 as support for their incursion and settlement of this part of Wales. A little further up the road is the only Roman gold mine in the UK – more on this in a letter post.The Normans moved in many years later to try and control the important routes through the valleys to the north and west, when in1116, the Norman Richard Fitz Pons began construction of the motte and bailey, then known as the “castle of Cantref Bychan.” Very soon afterwards Gruffydd ap Rhys, attacked and destroyed the outer bailey. 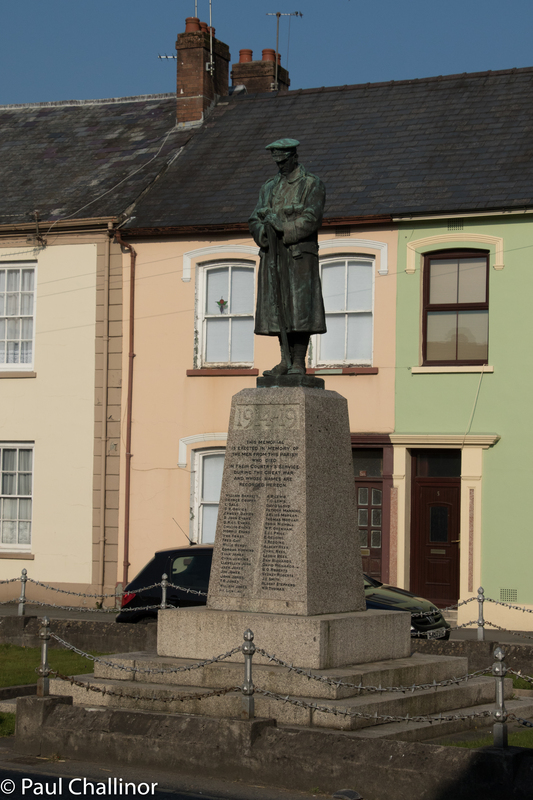 Then followed a period of capture and loss between the Welsh and English. However,with the interceine manner that the Welsh managed their affairs control of Llandovery Castle not only alternated between the Welsh and the English, but the heirs of the Lord Rhys (including Rhys Gryg and Maelgwyn) also fought each other for command of their father’s possessions. 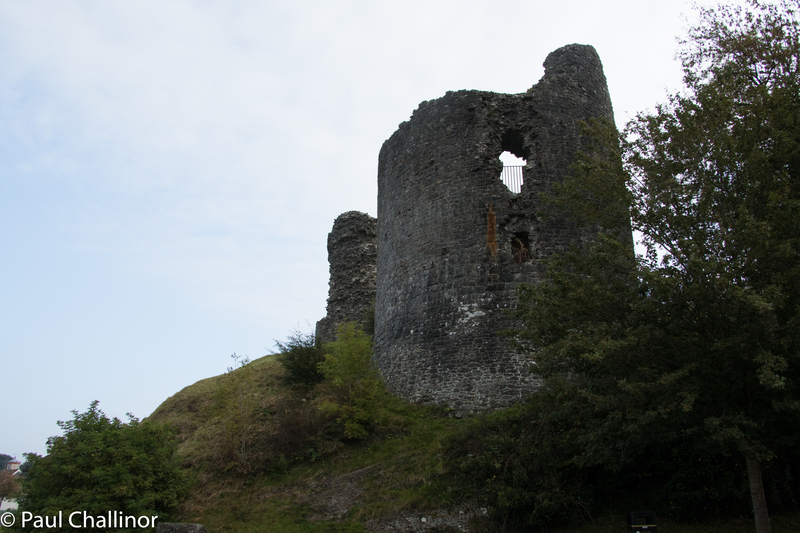 Edward I finally gained control of the castle in 1277, and the English continued to control the stronghold until its demise, with the brief exception of a few months in 1282 when Llewelyn Olaf captured the castle. 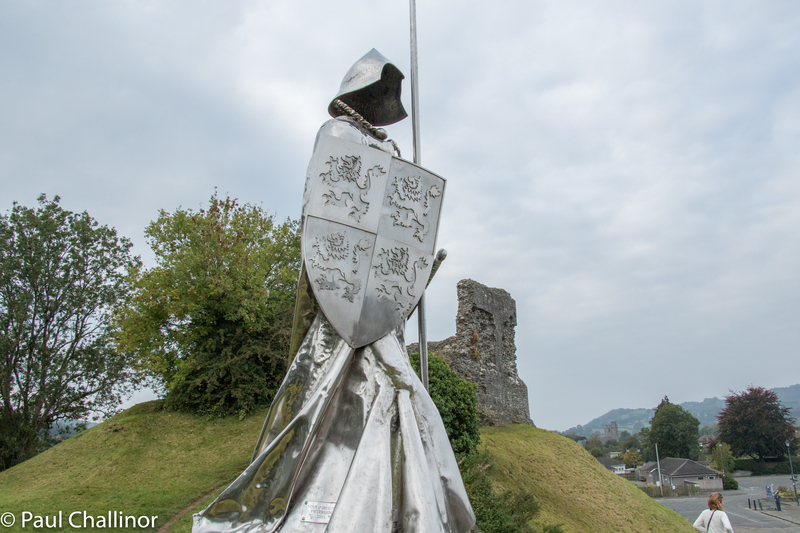 On the slopes of the castle is a fantastic 16-foot (4.9 m) high stainless steel statue to Llewelyn ap Gruffudd Fychan. Over 600 years ago he had led the army of King Henry IV on ‘a wild goose chase’ under the pretence of leading them to a secret rebel camp and an ambush of Owain Glyndŵr’s forces. English Kings were not known for their tolerance, especially when being led astray by a Welshman and King Henry lost patience with him, exposed the charade and had him half hanged, disemboweled in front of his own eyes, beheaded and quartered – the quarters salted and dispatched to other Welsh towns for public display. 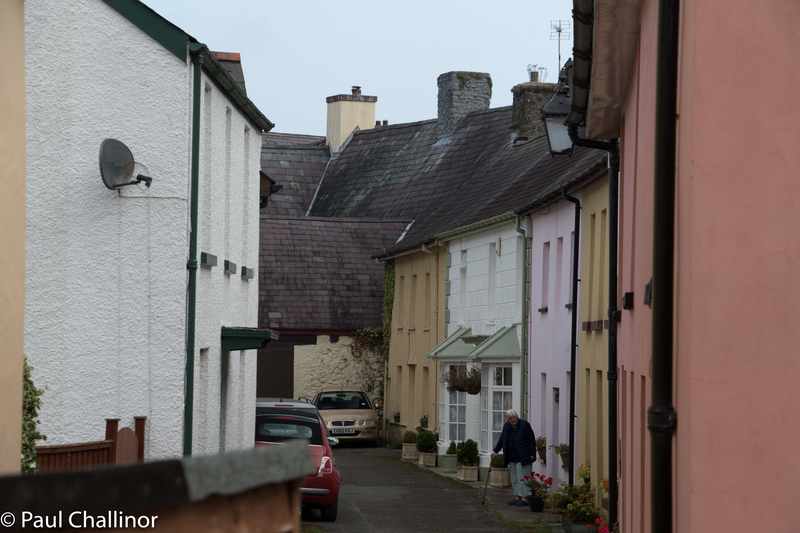 The streets are narrow, and many of the houses are painted brightly in different colours. I love this way of making the town different from the usual dark grey granite of the town further north. 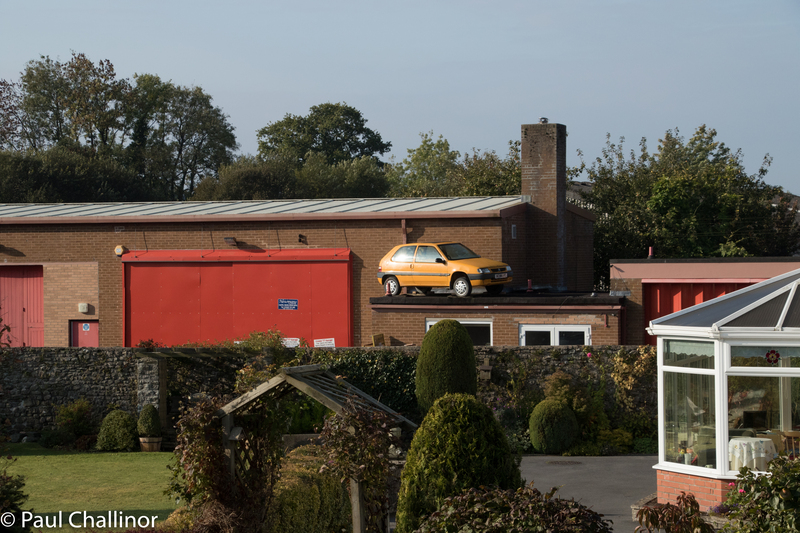 Although the streets can be little narrow in places, it can’t be said that parking is at such a premium that you have to park the car on the garage roof! This area is a mecca for motorcyclists. 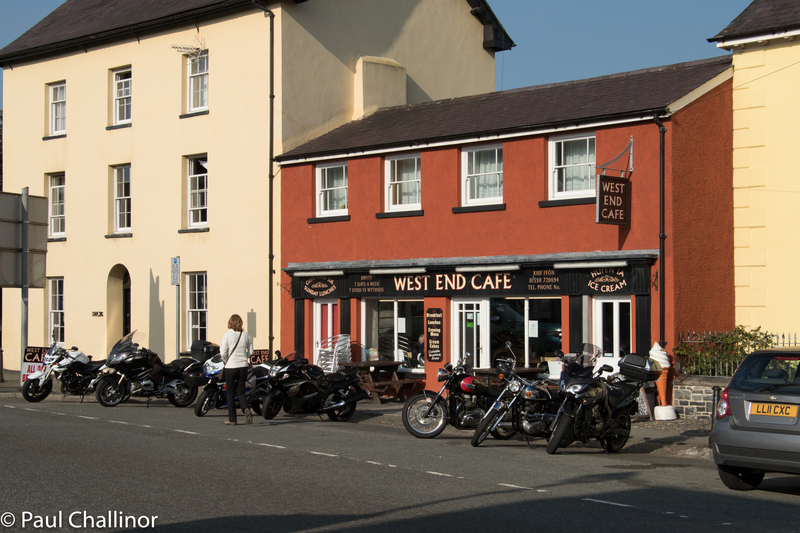 One of the cafes attract bikers like a magnet. 30 minutes after taking the photo there were another 15 bikes parked outside. Aunty is just checking that their tax discs are in place! If you get the chance go and stay. We might even meet up on day.